They can set their cameras to automatically snap photos while they work, but often make time to Earth-gaze and take photos of their own. 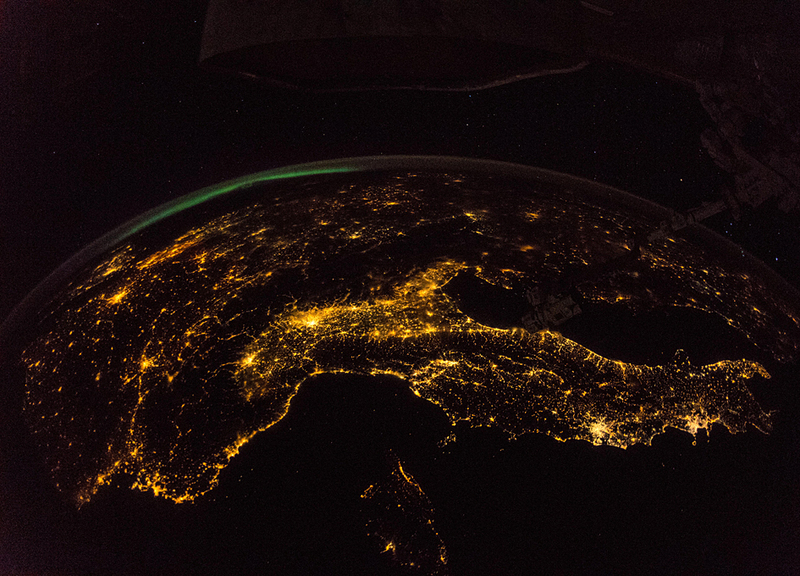 ESA astronaut Alexander Gerst snapped this photo of Europe at night in September, captioning it, "From space it's pretty clear that Europe belongs together." Find out how you can help and improve your geography knowledge with the Cities at Night project. With a mind-boggling amount of data about our planet along with the availability of the latest digital technologies, citizen science projects such as these is just one way to help interpret the data and there are countless opportunities for innovation. ESA's ɸ-week, running this week, explores how data and new technologies such as artificial intelligence and blockchain can benefit business, industry and science to bring benefits to all.